We’re getting a new kind of esport to challenge the dominance of Overwatch, League of Legends, and Dota 2, and it’s none other than… Farming Simulator? Yes, developer GIANTS Software is setting up a full esports league, complete with a prize pool of €250,000 (around $282,000), for competitive farming. No word yet on what this is going to look like, though a championship held last year showed competitors stacking hay bales. It looks bizarre… and more than a little wonderful. And you know what this kind of reminds me of? Dressage. For those who don’t know, we still have equestrian sports in the Olympics — three, to be precise. The most intricate, complex, and utterly tedious of the three is undoubtedly dressage. It’s an old form of exhibition where you show off how good of a rider you are by putting your horse through a series of exercises that looks like a very slow-paced ballet. If you don’t have more than a passing familiarity with horses and how to ride them well, then you’re not only going to be lost but bored out of your skull watching dressage. Oh who am I kidding? I rode (and trained) horses for years, and I still barely know what I’m watching when I look at dressage. But I still love it anyway, partly for how different it is compared with the usual Olympics fare of running, jumping, swimming, etc. In that vein… Farming Simulator League. I’m not saying it’s going to be boring necessarily, but I do think you’re probably going to have to have more than a slight investment in Farming Simulator to be able to understand the goings-on in the competition. Emma Kent of Eurogamer made the same comparison. Most esports is fairly easy to follow if you have even a passing familiarity with games in general, and most can be curiously absorbing — whether it’s the fast-paced shooter action of Overwatch or CS:GO, or the Risk-like tenseness of a League of Legends game. But Farming Simulator? It’s hard to see how that’s going to go over as a spectator sport, but it also might be the shake-up esports needs. Most esports fall along similar lines: they’re shooters, arena games, or battle royale games — generally something like those. They’re great games, but they can get a bit same-y after a while. 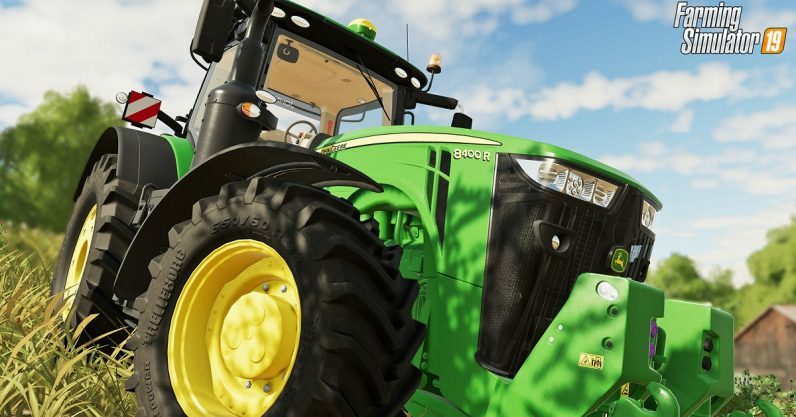 So seeing something this radically different might attract a crowd of curious onlookers to bolster the contingent of Farming Simulator devotees. And if those people like what they see, they’ll probably keep coming back to watch, and that’s how we might finally get an esport that looks nothing like what we’ve seen so far. We’ve kept equestrian sports in the Olympics for over one hundred years (despite numerous allegations of doping and abuse, and pleas for removal from a concerned public), because it’s a test of physical skill wholly different from any you’ll find in any other Olympic sport. This is why I’m kind of glad Farming Simulator will soon join the esports roster, to show we can appreciate even the more unusual kinds of games out there.